In several papers (including a recent one by Banks and Seiberg) people mention a "folk-theorem" about the impossibility to have global symmetries in a consistent theory of quantum gravity. I remember having heard one particular argument that seemed quite reasonable (and almost obvious), but I can't remember it. In string theory global symmetries on the world-sheet become gauge symmetries in the target space, so there is no (known) way to have global symmetries. in AdS/CFT global symmetries on the boundary correspond to gauge symmetries in the bulk so there again there is no way to have global symmetries in the bulk. The argument in the Banks-Seiberg paper about the formation of a black hole charged under the global symmetry. I find none of these completely satisfactory. Does anybody know of better arguments? Perhaps this is just rephrasing your last explanation, so I am not sure if you consider this as a "better argument", but I'll give you a good reference for further reading. Quantum gravity may break global symmetries because the global charge can be eaten by virtual black holes or wormholes, see this paper. If one builds a QG in a flat space-time, a la Logunov's RTG, then one may have global symmetries. But it is forbidden to say and is punished, beware. Not the answer you're looking for? 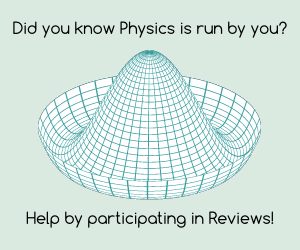 Browse other questions tagged string-theory symmetry quantum-gravity or ask your own question. What are the implications for the AdS/Cft program if AdS is unstable? What is really this Gauge-Gravity duality all about?